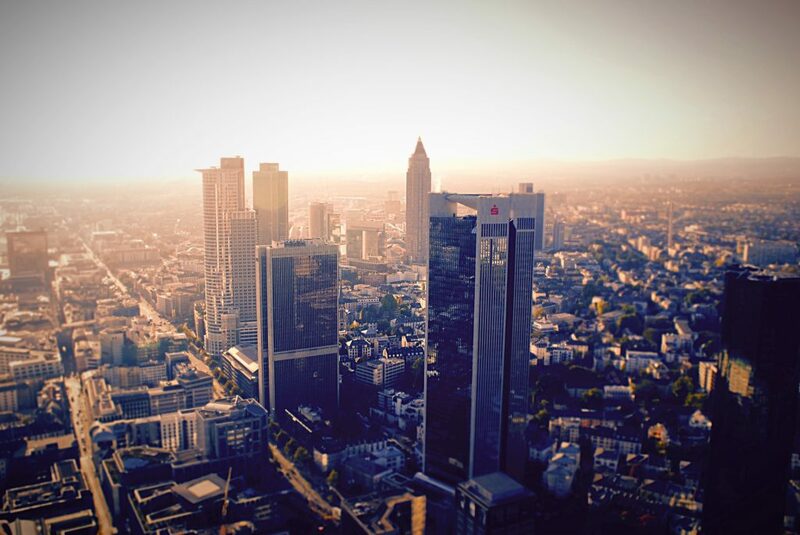 Fly private to Frankfurt, one of the most economically important cities in Europe, and the financial leader of Germany. Divided to the North and South by the Main River, Frankfurt am Main is the largest city in the German state of Hesse, and a popular destination for executive charter flights. Renting a private jet to either (EDDF, FRA) Frankfurt International or (EDFH, HHN) Frankfurt–Hahn is the most comfortable, secure and luxurious way to arrive in Germany, and ACA is here to offer the highest standards in executive and leisure travel. Air Charter Advisors, the premier private aviation brokerage for executive and corporate jet rentals, offers on-demand private jet charter service to Frankfurt, Germany. We have access to thousands of private jets and turbo-props based in Germany and around the world, and we’re confident we can arrange the right aircraft for your trip, whether you’re flying internationally or domestically. 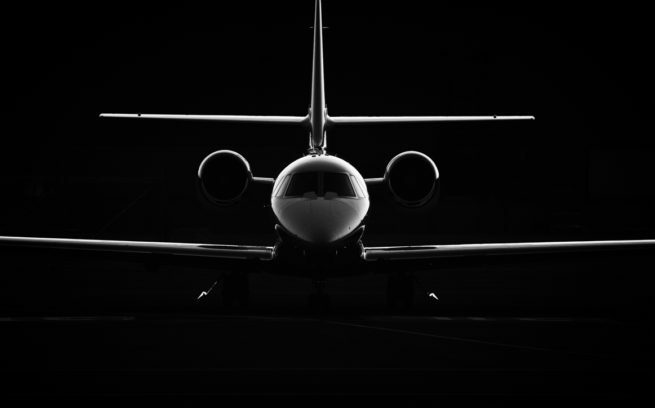 Our company holds some of the highest service and safety standards in the private aviation industry, and that’s exactly what you want when working with a charter broker. ACA will be available 24 hours a day and 7 days a week to ensure that your needs are met exactly when needed, whether you’re in the United States or a resident of Deutschland. Our private jet charter company is Wyvern-certified, and all of the aircraft we use for flights to Germany are operated by FAR Part 135 or 121 (or foreign equivalent) air carriers. Our Frankfurt Air Charter team offers personal, all-inclusive private jet service to a variety of distinguished clientele, including C-level executives, VIP/celebrities, government officials, personal assistants and leisure travelers from around the world. Enjoy the peace of mind you get from working with a jet charter broker you can trust, and let Air Charter Advisors be your local and global aviation solution for luxury air travel, aircraft acquisition and private jet management in Frankfurt, Germany. Request a quote now, or give us a call to book your private flight. From arranging gourmet in-flight catering, luxury ground transportation, helicopter lifts and any other requests you may have – consider our Frankfurt private jet charter service your one-stop shop for all things private aviation in Germany. When flying private to Frankfurt, there are two major airports in the city for arrivals and departures, and another located equidistant from Frankfurt and Luxembourg. After providing us with your trip details, we can help to arrange the right aircraft and flight itinerary that best suit the goals of your trip. 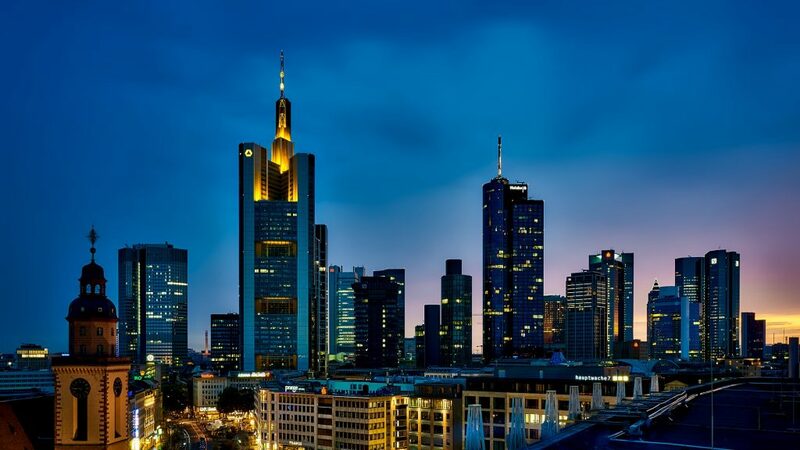 Frankfurt is home to the German Stock Exchange and the European Central Bank, making it one of the busiest financial centers in all of Europe. Corporate jets are chartered throughout the year for business meetings, conferences and other events in Frankfurt, such as the NGMN Industry Conference and major pharmaceutical events such as BIO-Europe. Many executive and corporate flight departments contact us to charter these flights, as our due-diligence processes meet the same FAA standards applied for their own corporate aircraft fleets, some of the highest standards in the aviation industry. If your executive team needs to charter an executive flight to Frankfurt, Germany, or anywhere else in Europe, our team of jet charter professionals can arrange all of the details for your private flight, allowing you to take care of business at hand. Air Charter Advisors provides competitive rates on a wide range of sleek business jets available with executive configurations, including essential amenities such as on-board Wi-Fi, spacious cabins and gourmet in-flight catering, allowing you travel to Frankfurt with the utmost comfort and privacy. If you’re flying within Germany or to a nearby European country, you can choose efficient mid-size jets such as a Falcon 20 or a Hawker 700 – find out more about private jet charter rates for all aircraft types. No matter which type of aircraft you prefer, our friendly private aviation team will be available to you 24/7 to help plan your upcoming executive flight to Frankfurt, Germany. Frankfurt (Frankfurt am Main), located along the river Main, is Germany’s business and financial hub, and its the largest city in the state of Hesse. 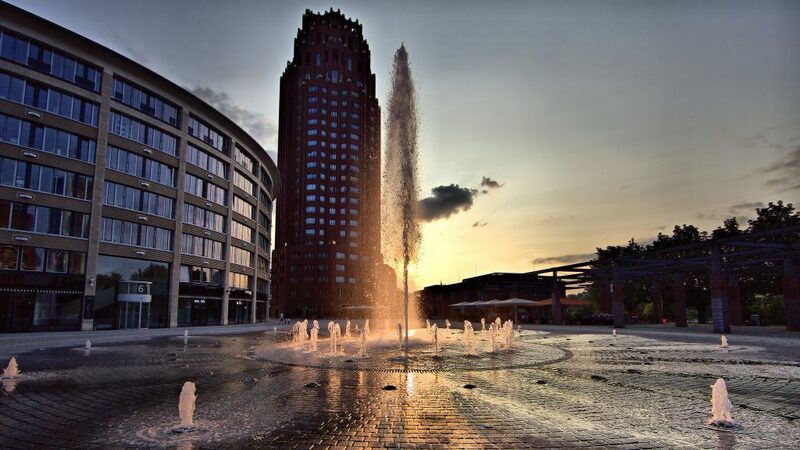 The city is known for its modern skyline, and as home to the busiest airport in Germany. Frankfurt is Germany’s main transportation/logistical hub, where the major autobahns and railways in Germany intersect, and more than a quarter million people commute to the city each day. (EDDF, FRA) Frankfurt International, the third-largest in Europe, is the main gateway into Germany and it’s a primary hub for both connecting flights within Europe and intercontinental flights traveling around the world. 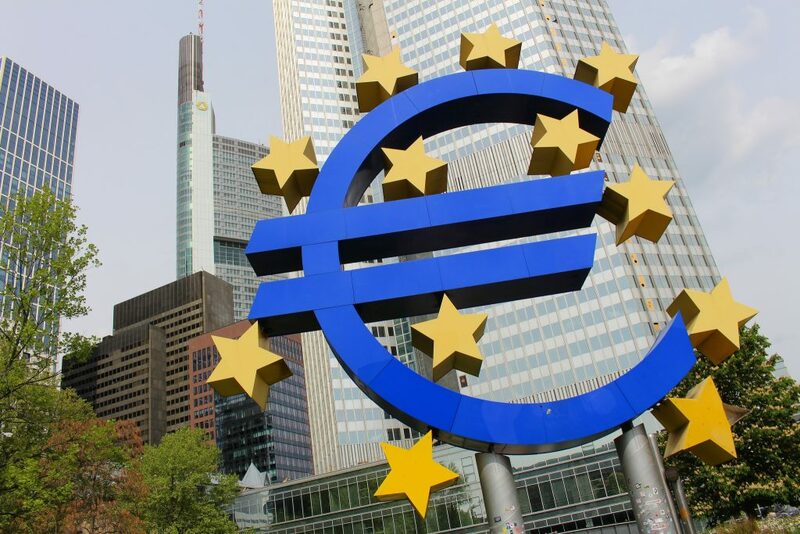 It’s also the economic capital of Continental Europe, with the European Central Bank and the German Stock Exchange based here, and the city hosts premier trade shows, including the Frankfurt Auto Show and the Frankfurt Book Fair. The most diverse city in Germany, it features the highest concentration of foreign born citizens in the country; nearly a quarter of the city’s residents do not have a German passport, while another 20% have become naturalized German citizens. The financial potency, rich history and dense population creates a city of contrasts, where you’ll find well-maintained medieval buildings next to some of the tallest, most avant-garde skyscrapers in all of Europe. The city is nicknamed “Main-hattan“, thanks to its modern skyscrapers and the river Main, which runs through the center of the city. It’s also the most international city in Germany, where nearly one in three people do not hold a German passport. Römer square and the museums on River Main draw millions of tourists every year, while neighborhoods such as Bockenheim, Bornheim, Nordend and Sachsenhausen features beautiful 19th century streets and parks that are often overlooked. Frankfurt’s most picturesque public square, the Römerberg has been the historic heart of the city dating all the way back to the Middle Ages. Within it’s irregular shape you’ll find numerous tourist attractions, most notably the Römer (City Hall). Nearby, another historic square, “Paulsplatz”, contains St. Paul’s Church, one of the city’s most important cultural buildings and host to several annual events. Gain a bird’s-eye view from the observation deck on Main Tower, the city’s tallest building, then head down to Mainkai Street, where you can walk along the River Main and take in the beautiful Main-hatten skyline. 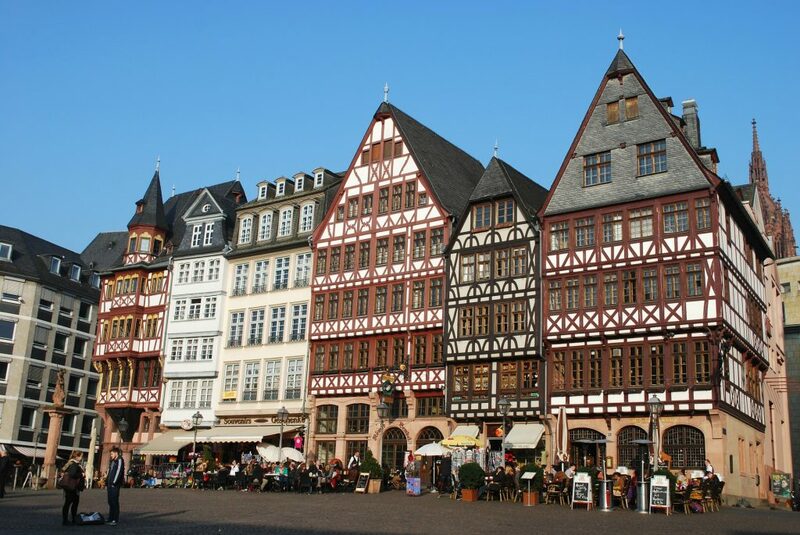 Frankfurt is also home to many museums, theatres and a world-class opera. In the Opernplatz, or Opera Square, you can catch a show at the Alte Oper, an Italian Renaissance inspired theater constructed in 1880 – destroyed during WWII, it re-opened in 1981 and still serves as one of the city’s most important venues. The Opernplatz also features the Opern-und Schauspielhaus (Opera House), one of Europe’s leading opera houses, voted “Opera house of the year” several times since 2003. Other points of interest include City Hall, Goethe House, Museum Embankment, Senckenberg Museum of Natural History, Palm Garden, Roman Mountain, and Stadel Museum. The Zeil, the city’s most famous shopping street, is the place to go for all your shopping needs, with great restaurants and bars running through the middle of the city. A private flight here is ideal year-round due to its temperate climate, while March through November are the best times. Check out more of our recommendations for things to do after your private flight to Frankfurt, Germany. 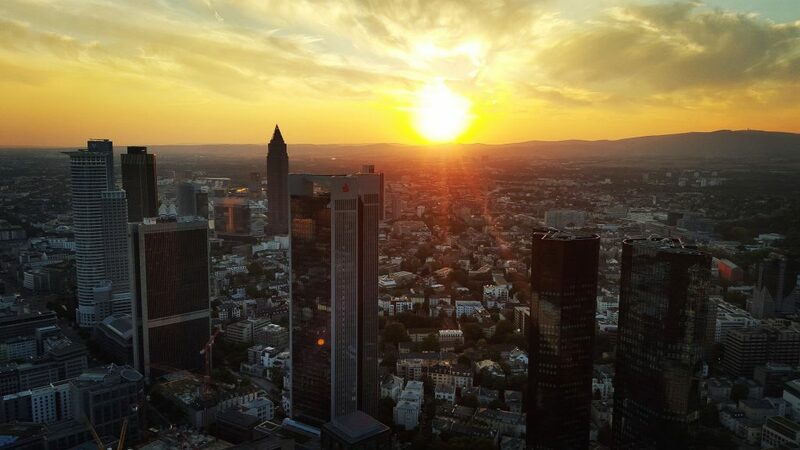 Frankfurt, a major transportation and financial center, lies in the heart of central Germany and is home of the European Central Bank and the German Stock Exchange. It’s economic importance means there’s no shortage of impressive, five-star hotels located throughout the city. When flying private charter to Frankfurt, there are many five star hotel options to choose from – we’ve come up with the following list of luxury hotels based on many factors, including ACA passenger feedback, location and amenities, as well as online reviews. Once you arrive via luxury private jet, our Frankfurt Jet Charter service brokers can also arrange ground transportation to/from the hotel of your choice. Air Charter Advisors uses the following airports to arrange private jet charter service to/from Frankfurt, Germany and surrounding areas. Our brokers can arrange everything from multi-leg private flights with in-flight catering to luxury ground transportation and helicopter lifts. Rent a business jet and to Frankfurt Airport (IATA: FRA, ICAO: EDDF), a major international airport located in Europe’s leading financial center. It’s the most popular choice for corporate jets and executive air charter service serving Frankfurt, with several facilities dedicated to private jets. 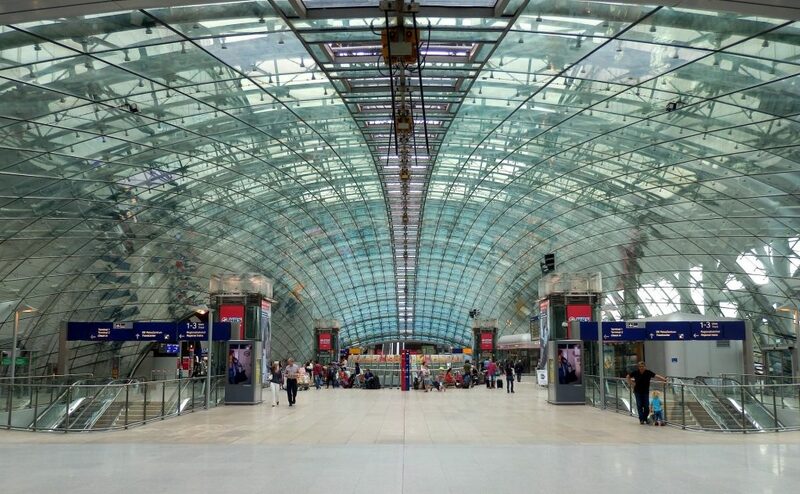 The airport is centrally located in the Frankfurt/Rhine-Main region, the third-largest metropolitan region in Germany, and is located 7 miles southwest of central Frankfurt near the Autobahn intersection Frankfurter Kreuz, where two of the busiest roads in Europe (A3 and A5) meet. 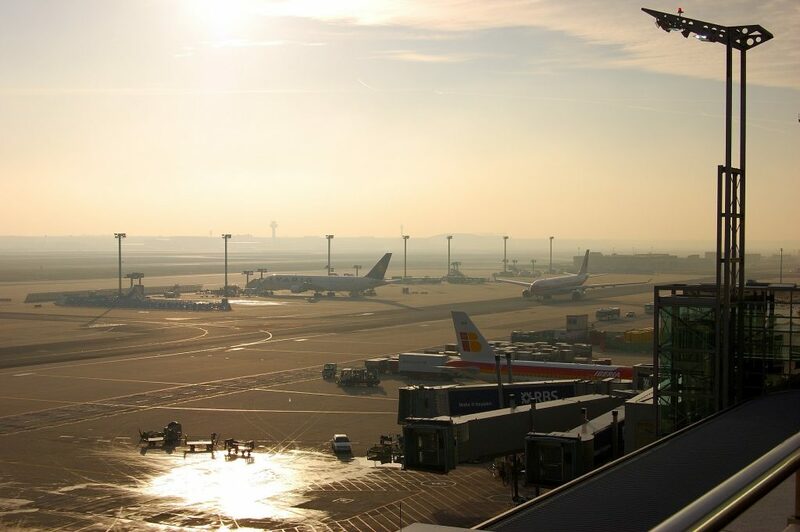 (EDDF, FRA) Frankfurt Airport the busiest airport in Germany by far, and it ranks as the 4th busiest airport in Europe following London Heathrow Airport, Paris–Charles de Gaulle Airport and Amsterdam Airport Schiphol. It’s also a major hub for air cargo, and the busiest airport in Europe in terms of cargo traffic. The airport features two passenger terminals, four runways and extensive logistics and maintenance facilities, allowing it the handle more than 60 million passengers annually. FRA is the main hub for Lufthansa (CityLine and Lufthansa Cargo), in addition to Condor and AeroLogic. As of 2015, the airport serves nearly 300 destinations in more than 100 countries, giving it the largest number of international destinations worldwide. Amenties for private jet travelers include 4 FBO operators, an Airport City Mall located in Terminal 1, the Sheraton Hotel & Conference Centre, and The Squaire, home to two Hilton hotels. Call or request a quote for your upcoming charter flight to (FRA) Frankfurt International Airport. Fly private to Frankfurt–Hahn Airport (IATA: HHN, ICAO: EDFH), an international airport located in the German state of Rhineland-Palatinate. Despite the name, the airport is nearly equal distance between Frankfurt and Luxembourg – it’s about 75 miles (120 km) to either city, and private jet travelers heading to the German cities of Koblenz and Mainz can opt to arrive/depart closer by using HHN instead of FRA. (FRA) Frankfurt–Hahn features one passenger and one cargo terminal, and the passenger terminal is equipped with shops and restaurants. FBO service is provided by Flughafen Frankfurt-Hahn GAT. The airport’s runway measures 12,467 feet and features a large apron, allowing it to accommodate some of the world’s biggest aircraft, including frequent visits by Antonov An-124 and the Boeing 747 Large Cargo Freighter. Book a private piston or turbo-prop to/from Mainz Finthen Airport (IATA: QMZ, ICAO: EDFZ), a general aviation airport located about 30 miles to the southwest of Frankfurt. It was an important airfield during the WWII-era, and is home to numerous relics, the largest being the wartime German hangar. There is no commercial airline service available at (QMZ) Mainz Finthen Airport, and it mainly serves general and business aviation in the capital and largest city of the state of Rhineland-Palatinate. It also offers training for helicopters, ultralight aircraft and gyrocopters. There are two runways at (EDFZ) Mainz Finthen: 08/26, a 3,281 foot asphalt runway, and 08R/26L, a grass runway measure 3,281 feet. Other facilities include a commercial café and snack bar, and a platform offering a view overlooking the airport’s operations. Flying private allows you to take advantage of more than 100x the number of commercial airports available flying first-class. Here are some additional airports for turbo-props and light/midsize jets around Frankfurt, and are located within 50 miles of the city. Frankfurt is one of the busiest regions for private aviation in Germany and Europe, and our team has access to the following Wyvern-certified aircraft. Every business jet we utilize for charter service is operated by FAR Part 135 or 121 (or foreign equivalent) air carriers, using only veteran pilots in the private jet you’re renting. If you don’t see your preferred jet or turbo-prop listed below, speak to one of our brokers and they will locate one for you. Request a Quote or give us a call at 1-888-987-5387 to speak with one of our Frankfurt Private Jet Charter service brokers for your next luxury vacation, business trip, or special event. Our team believes in providing private jet travelers with a one-on-one, consultative service experience that exceeds every expectation. We understand that your time, privacy, flight preferences and most of all, safety, are all extremely important when arranging your charter flight. When using our private aviation service, you can expect quick response times and an easy, hassle-free booking process, and our representatives available for you by phone and email 24 hours a day, 7 days a week, you can contact us at any time.